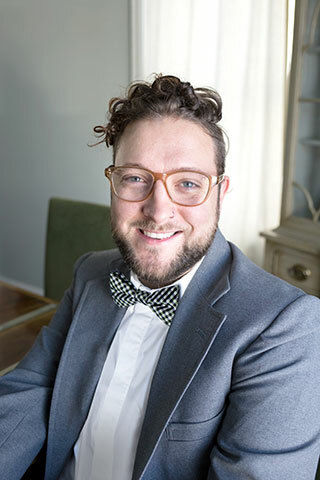 From the sandy beaches of Florida to the icy lakes of Minneapolis, Timothy brings with him more than seven years of experience as an interior designer. With an extensive background in furniture sales, selection and merchandising as well as both residential and multi-family commercial design, he is passionate about designing spaces that are unique, functional and timeless. Enthusiastic, outgoing and people-oriented, Timothy enjoys getting to know each client personally to create a design that reflects who they are and how they live. He understands that your home is your special space. It should make you feel and feed your soul, and it is not something that can be torn from the page of a magazine and recreated. He is also an expert at incorporating existing pieces with new furniture, artwork and accessories to design a space you and your family will cherish for years to come. Timothy resides in a historic Lowry Hill apartment with his partner Logan and their two calico cats, Lilly and Minnie. In his free time, he enjoys taking care of his many indoor plants and finding treasures at local thrift stores.